Houston, we have a problem and it is your mission to solve it! 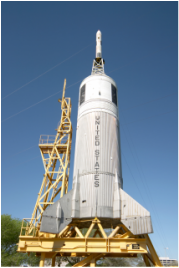 This is where the Apollo 13: ITSM Simulation begins and it ends with your team understanding and believing in the importance of ITIL® processes, ITSM capabilities and proper communication. The success of an organization hinges on the people who work for it, how they work together and how well they understand the big picture of overall success. If your team struggles in any of these areas, you will be unable to deliver value to your customers. However, if your team knows the benefits of processes, teamwork, communication and the customer experience, they will be better equipped to bring success to your organization. The Apollo 13 ITSM simulation goes beyond traditional workshop methods of explanations and instructions and puts your team through an intense and exciting experience that will leave them with a strong understanding of the importance of strong processes. The Simulation is an exciting and educational experience that will have your team laughing, learning and utilizing ITSM processes and concepts to solve a real world problem. This one day workshop simulates NASA’s Mission Control Center in Houston during the Apollo 13 mission. Your team will act as Mission Control and identify and solve problems from the mission using ITSM principles and processes. This workshop is led by Pam Erskine, an ITIL expert, founder of AdOPT and author of ITIL and Organizational Change. Pam has 15 years of leadership experience in IT and has held this workshop all over the country with great success. Pam will facilitate four rounds of simulation, during which your team will create processes and strategies to build and launch Apollo 13, ensure safety, solve technical problems and bring the crew home, all while managing budgets, service level agreements, and communication. Following each round, your team will focus on continuous improvement by evaluating how they can improve their processes, tools, and communication. At the conclusion of the workshop, your team will discuss how to apply lessons from the simulation to real world experiences in their own organizations. This unique one day workshop blends traditional learning methods with hands on, teambuilding activities in a way that is engaging, educational and meaningful. Participants will leave the workshop understanding the importance of ITSM best practices and how those practices can benefit their projects and their customers. To learn more or to schedule the Apollo 13 ITSM Simulation, please contact us. This simulation is only available as a private workshop and requires a minimum of ten participants.